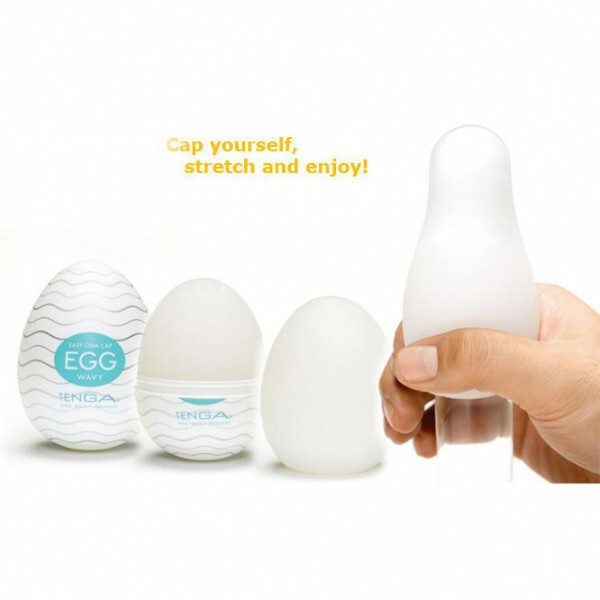 The disposable egg masturbator with bi-directional wedges producing amazing pleasure. 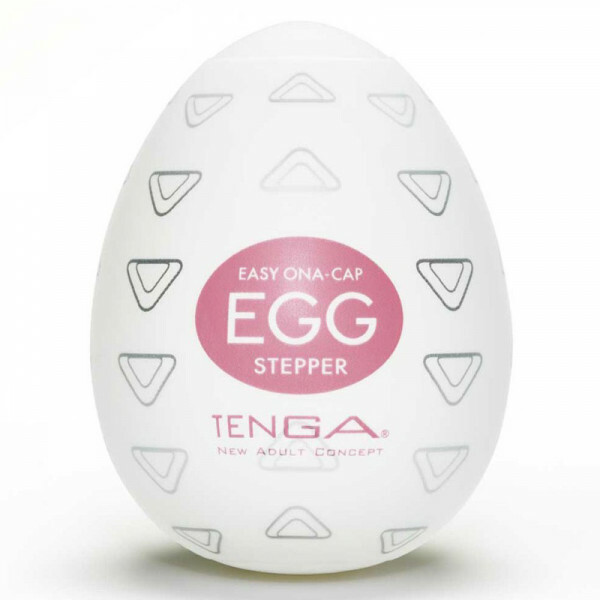 From the innovative egg series, Tenga Egg Stepper has bi-directional wedges that face both upwards and downwards to produce amazing stimulation when you stroke yourself. To use, simple unwrap the packaging, extract the lubricant lotion bag found inside, open the lube, and lubricate the interior. You are now ready to get some self action. Stretch the egg and enjoy! 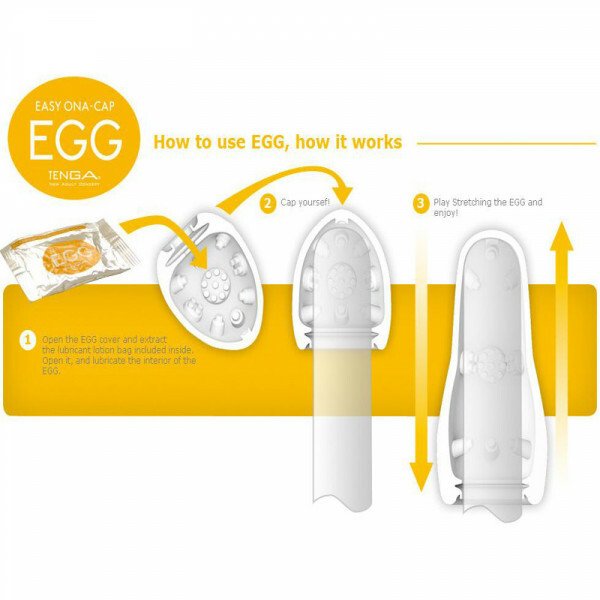 The egg is super stretchy and can handle any size. 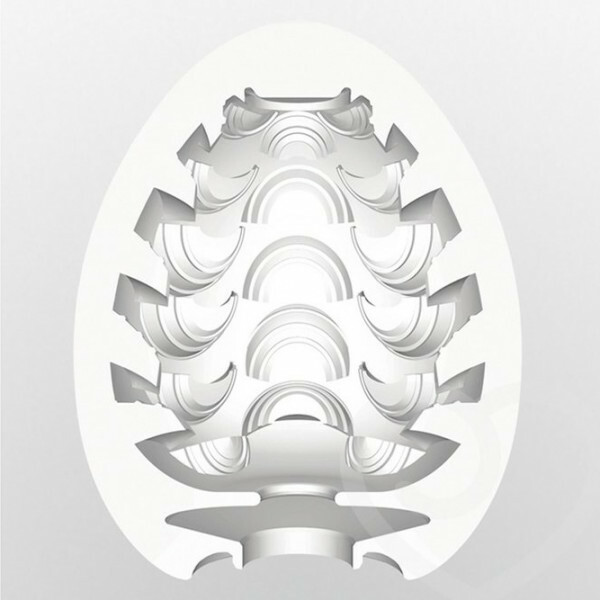 Aside from the Stepper, other patterns of the Egg Series are the Wavy, Silky, Twister, Spider, and Clicker. Simple, discrete stroker with a nice texture. While it is stated to be one use only, if you wash it well it can be used multiple times. Got the tenga egg to try. Didn't think it would be as good as it was, my girlfriend loves to get me in the mood with it.